Maine Woods Company is a hardwood lumber manufacturer with a state-of-the-art sawmill and dry line that offers precision manufacturing and is committed to producing high quality products. We are the largest single manufacturer of hard maple lumber in the northeast, producing some of the whitest wood in the region. The northern hardwoods grown in Maine’s colder climate yield the finest in color and grain that the discriminating buyer should expect. Species produced include hard maple, yellow birch, soft maple, and white ash. 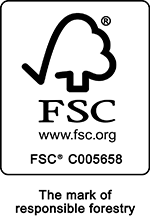 We also offer bird’s eye and flame birch specialties, rough dimension stock, and surfaced lumber, all with an FSC® certification guarantee. Maine Woods Company was recently featured in the November 2015 issue of the National Hardwood Magazine. Click here to read the article! Maine Woods Company (MWC) is a hardwood lumber manufacturer with a state-of-the-art sawmill that offers precision manufacturing and is committed to producing high quality products.